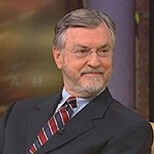 Harville Hendrix, Ph.D., is a pastoral counselor whose specialty is marriage and other intimate relationships. He has spent more than 35 years as a therapist, educator, workshop leader, and public lecturer. He has specialized in studying intimate partnerships and couples therapy for the past 15 years. Dr. Hendrix and his wife, Helen LaKelly Hunt, are the collaborators in the creation of Imago Relationship Therapy and the concepts of “conscious marriage” and “conscious parenting.” He is the co-founder for Imago Relationships International. More than 2,000 therapists practice Imago Therapy in 21 countries, and over 160 certified Imago presenters offer workshops and seminars each year. Dr. Hendrix is a graduate of Mercer University, which awarded him an Honorary Doctorate of Humane Letters. He has a theology degree from the Union Theological Seminary in New York and an M.A. and Ph.D. in religion and psychology from the University of Chicago Divinity School. Dr. Hendrix is also an author, whose bestsellers include Getting the Love You Want and Keeping the Love You Find. His books are published in more than 50 languages. Dr. Hendrix has appeared on The Oprah Winfrey many times and speaks regularly on local and national radio shows. He has also been written up in numerous magazines and newspapers internationally. Dr. Hendrix is the recipient of several honors, including the 1995 Outstanding Pastoral Counselor of the Year Award from the American Baptist’s Churches and the 1995 Distinguished Contribution Award from the American Association of Pastoral Counselors. • Psychologists say that “chemistry” is really our unconscious attraction to someone who we imagine will meet our particular emotional needs. What we unconsciously want is to get what we didn’t get in childhood from someone who is like the people who didn’t give us what we needed in the first place. • Love and anger are two sides of the same coin. • Most marriages fail because of the persistence of the unconscious aspects of the relationship. Any unfinished business we had with our caretakers becomes a compelling agenda with our partners. All too commonly, however, the partners never become aware of the hidden needs that drive their relationship and never learn the skills they need to successfully address those needs. Dr. Hendrix believes that when we choose partners for our relationships, we often choose people we hope will help us heal our childhood wounds. We unconsciously seek out people who possess both the positive and negative traits of our original caretakers. Getting the Love You Want is designed to help us overcome these challenges. The book has helped a countless number of couples improve their relationships.